Your novel is in your head, but that isn’t where it needs to be in order to share it with friends, family and strangers! How can you get it from concept to concreteness? 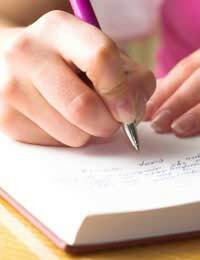 The answer for many budding novelists is to develop an outline. The types of outlines vary from writer to writer. Some prefer to have a simple outline that focuses on the main points of the story; others would rather create elaborate sketches of their novels. In this piece, we’ll give you a basic idea of how to start your novel outline; however, please know that you can always change it according to your needs. The first step to starting your novel outline will be to establish the genre(s) of your piece. Be very specific, even if you have to make up a new term or cross traditional genre lines! For instance, is your novel a unique horror-based “chick lit” book? Is it an historic romantic mystery? Make sure you also include your target audience so you can keep that in mind as you move forward. At this point, it’s a good idea to write a few paragraphs (or pages, depending on the intricacies of your novel) about your story concept. It may be helpful to simply write these sentences as if you were describing the book to a friend. Don’t worry about grammar or consistency; instead, focus on the overall story line. Having a geographic location in mind will allow you to produce a much more complete novel than if you weren’t certain where your action was taking place. Therefore, it’s essential to describe that location in a sentence or two. You might even want to include a map to give you visual assistance. Go back to Step Two and re-read your paragraphs. Add anything new that’s popped into your head (such as different characters or locales). Then, use what you wrote in Step Two to begin establishing a flow for your novel. Do this with each of your sections from Step Two. At this point, you should have a several-page document with a good deal of information about your novel. Though you might be tempted to write your book immediately, it’s best to do a bit of evaluation on what you’ve put together. Answer the following the questions honestly. If you find any of your responses are not what you wish them to be, you may need to revise your outline. 1. Who is/are the protagonist(s) in this novel? What do they want? What is their driving force? 2. What conflicts are taking place in the story? What obstacles have I set up for the protagonists to overcome? 3. Does my novel have at least one beginning, middle and end? 4. How will the reader feel about the protagonist(s)? Will those feelings be clear? Or will they depend upon the reader’s experience? It's now time to start working on your novel in earnest! Just know that you will likely need to go back and forth between your novel and your outline to keep them consistent... and you on track! To help you begin, we've provided a sample outline below. Good luck!